The essence of Raksha Bandhan would be more accentuated when you gift this Fancy Bhaiya Bhabhi Rakhi Set with Blissful Love embellished with a free Rakhi, Roli Tilak and Chawal to your brother or cousin or any dearest person. 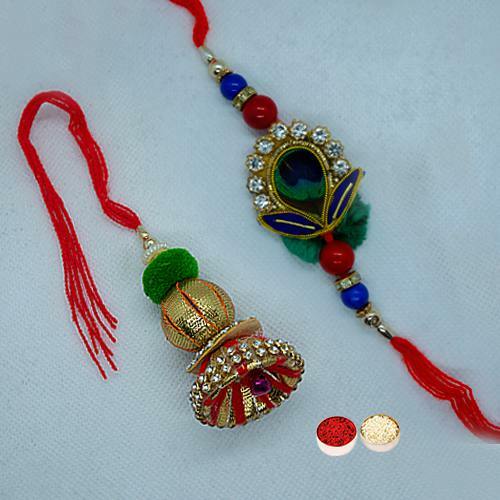 The set of Two Rakhis is ideal to make your loved ones feel very special on that special occasion. The design of Rakhi may alter.